Nutrient Timing for Peak Performance is a strategic approach in what, when, and how much to eat of selected foods to maximize athletic conditioning, training and performance. Learn some of the tools that athletes can use to reduce risk of injury, maximize muscle repair, maintain a healthy immune system and increase endurance. This is event is co-sponsored by the Department of Athletics. 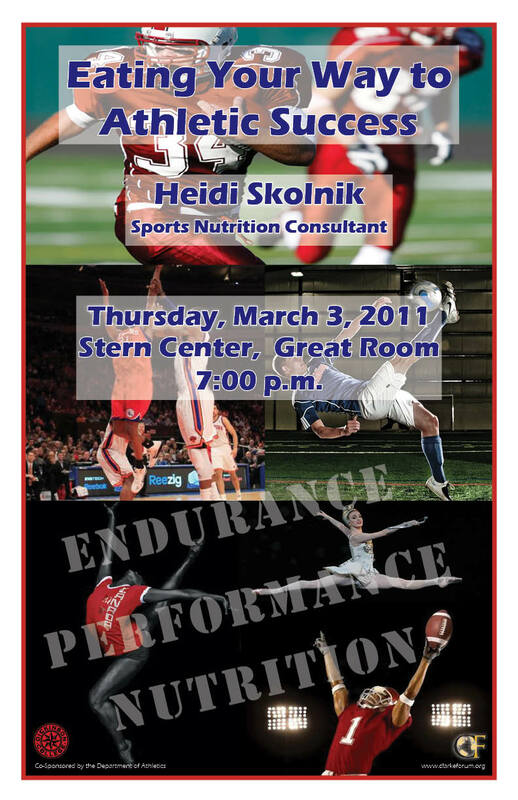 Considered a thought leader in the nutrition, Heidi is the Sports Nutrition Consultant to the The NY Knicks Basketball Team, The Juilliard School, School of American Ballet and Fordham University Athletics. She was the team nutritionist for the past 18 years for The Football Giants and continues to see clients one-to-one one day a week at The Women’s Sports Medicine Center at Hospital of Special Surgery. Heidi is a contributing advisor to Men’s Health magazine and is co-author of Nutrient Timing for Peak Performance; the right food, the right time, the right results (Human Kinetics, 2010) and The Reverse Diet: Lose Weight By Eating Dinner for Breakfast and Breakfast for Dinner (Wiley, Jan. 2007). An expert resource for national media, Heidi has appeared on “The Today Show,” “Good Morning America,” “The Early Show,” “The Dr. Oz Show,” “CNN American Morning’ and ‘Headline News,” “Primetime,” “20/20,” “Extra'” as well as the TV Food Network and is often referenced in newspapers and national magazines such as Glamour, Cosmo, and Real Simple. Heidi has earned two masters degrees, one in Sports Medicine (Exercise Science) and the other in Nutrition and is a New York State Certified Nutritionist. Ms. Skolnik is a Fellow with the American College of Sports Medicine (ACSM) and is also ACSM certified as a Health Fitness Instructor. As a sought after presenter, Heidi consults and presents nationwide to corporations, professional organizations, universities and colleges on nutrition, fitness and wellness. 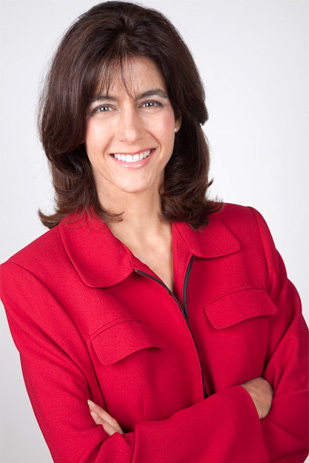 Ms. Skolnik is the president of Nutrition Conditioning, Inc. a nutrition consulting practice based in New Jersey serving the greater Metropolitan area.